Experience - How Long To Smoke? I'm going to be smoking a turkey in an electric smoker? How long do I smoke it? I plan to smoke either a whole turkey or a bone in turkey breast in my vertical electric smoker next weekend. 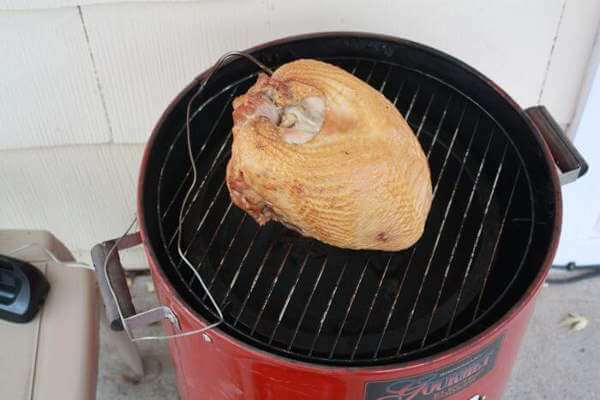 The time it takes to smoke a turkey in an electric smoker can vary quite a bit. Smoking time for any meat depends on many different factors. Turkeys can be smoked at the usual smoking temperature of 225 degrees Fahrenheit, and at that temperature it can take approximately 45 minutes or more per pound. 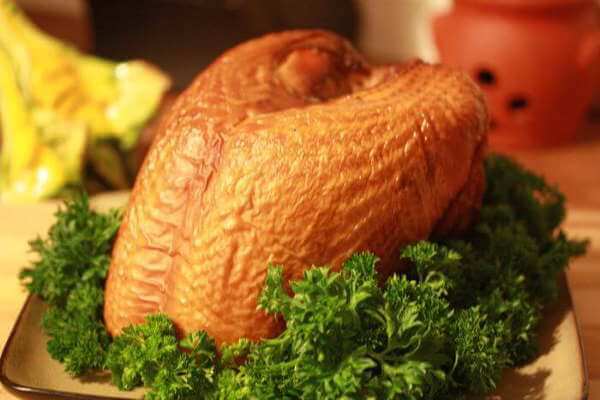 If your smoker is capable of heating up to about 300 degrees, the turkey will take roughly 15 minutes per pound. However the best way to know when to remove a turkey from the smoker is to go by its internal temperature. 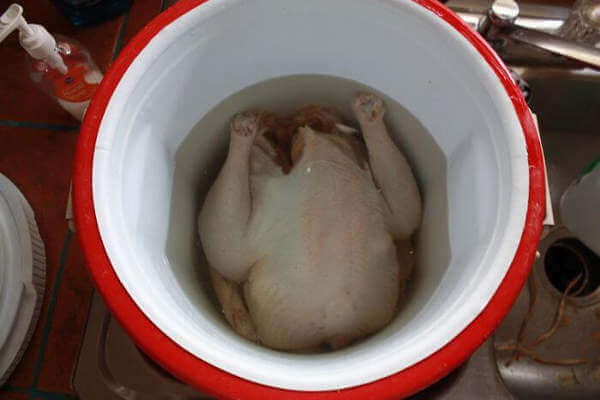 Remove it when the breast and thigh meat reaches 160 degrees. The internal temperature will rise after you remove it from the smoker, reaching the USDA accepted done temperatures of 165 for white meat and for dark. That's the minimum safe temperature, but dark meat is better if it reaches 175, in my opinion. My 1st turkey attempt in my electric smoker sounds the same. I was planning for 6 hours and in 1/2 the time, my electric thermometer and the one inserted in the turkey indicated that it was done. I placed the bird on a platter and covered with foil and towels. Waited the remaining 3 hours and it was still warm when I carved. Very tender and moist. I try to keep the heat a between 200 and 225 while smoking. This will be my 4th year with this method. I catch all the drippings in a pan and use that for gravy. Don't ever let that get by you. Delicious! We are trying to get our turkey smoked just right for Thanksgiving. We are currently cooking our second one now. The first was last weekend, 14 lbs and was completely done in 3 hrs which is the half the time it should have taken. Today it's been in for 1 1/2 hrs and the meat therm shows 201 degrees so we open and look. Doesn't look as done as the first did last weekend but we used a different therm to check the temp and was only 140 degrees. At the rate they are cooking there is no way they will make the 6 plus hours they are suppose too. Anyone else have this issue with them getting done waaaayyy before they should? Any thoughts or suggestions would be greatly appreciated. Like this site says it is all about the brine. I brine for a solid three days prior to the smoker. Depending if you want the "traditional" look to the full bird, I cut my bird up for the brining and smoking. Just easier in my mind, breasts, legs, thighs. Then I boil up the giblets, neck and chest cavity for turkey soup, no waste here. I run my smoker at 220, plug my meat thermometer into a turkey drumstick along side the bone and it takes about 4 hours, I prefer apple wood. My Dad runs mesquite which is tasty too. My mouth is watering already.